Another photo of the run. Looks like many are in their company t-shirts. Good publicity for all the companies as well eh? According to the website, there's 12,748 participants from 351 companies represented. 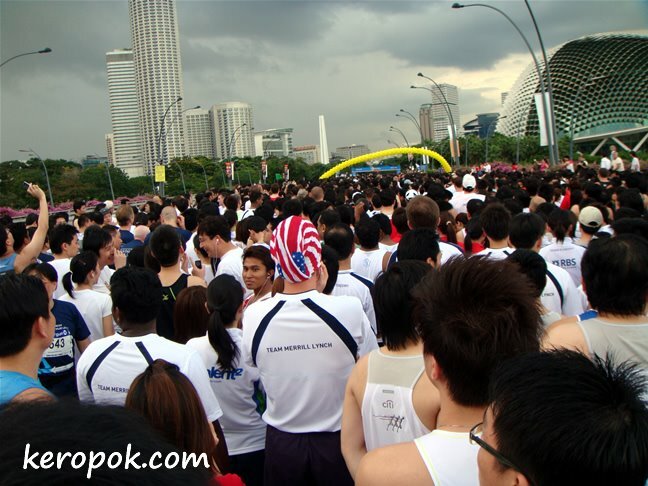 It looks like the dark clouds behind is not preventing all these people from running. Do you like running? I have friends who wakes up at 4 am to run before going to work! Will you be capturing any pics for the coming Sundown Marathon which also incorporates the Ultra Marathon? There will be a lot of runners running the graveyard shift.